Nursery World is the leading print and online title for the early years community, providing the best information to help every child fulfil their potential. Packed with ideas, resources, and the latest news and developments, Nursery World is every professional’s essential guide to the Early Years Foundation Stage. 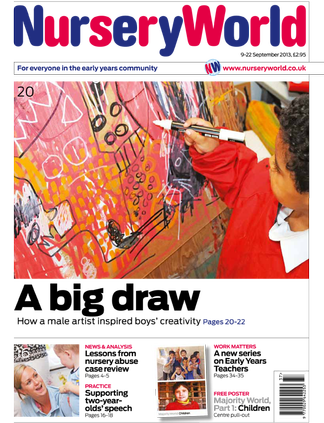 Nursery World magazine, published since 1925 and still at the forefront of early education and childcare, is a fortnightly mix of news, opinion, best practice, management and jobs. Top experts contribute series linking in to the four themes of the EYFS. Be the first person to tell us what you think about Nursery World and you'll save £2.50 on your next purchase!